Vertical four-column vertical clamping, with vertical injection. The square pillar design comes with large mold size. The space within the column allows customers to install devices of automatic embedding and removing products. This allows automation for the whole machinery. Big L / D ratio of screw, plasticizing evenly, suitable for injection molding of engineering plastics. High standard computer control system with high precision injection pressure and high response injection speed. The quality is more stable for high-precision embedded injection molding products. 1S single slide: After mold opening, the lower mold will auto-matically slip in front of the operator for facilitating embedded molding operation. 2S double slide (Alternating double slide): One mold for injection molding, another mold for taking out and putting on embedded parts operation. 2SL double slide (90°Alternating double slide): One operator can operate independently. One mold for injection molding, another mold for material taking and putting on embedded parts. The two slidings are intersecting at 90 degrees, which can lower the production cost, and enhance the performance. 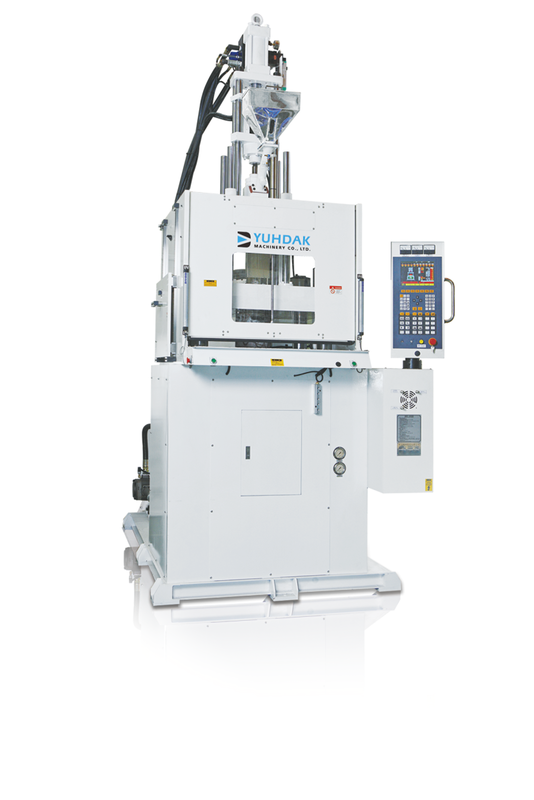 Able to combine automation and the high-speed injection can effectively enhance the production capacity. A variety of circuit design (half closed servo hydraulic or highspeed injection) to meet the customer’s requirements.